Use these templates to brand your presentations with National School Library Standards graphics. Download pre-designed PowerPoint slides with draft scripts that you can use, edit, and arrange in your own presentations on the National School Library Standards. Present to school librarians, principals, administrators, state-decision makers, and educator colleagues in your schools or districts, at national, regional, and state conferences, or in online learning environments. 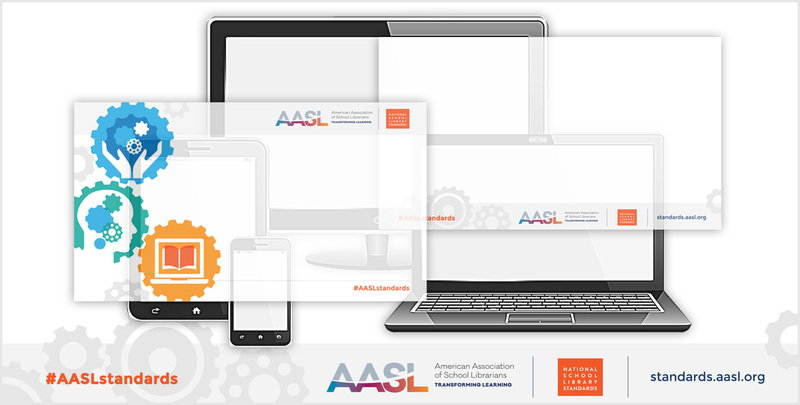 Share the many ways AASL supports standards implementation and nurtures learning networks. Add your presentation details to standards-branded web banners, e-mail banners, pods, and graphic ads. Post them to your social learning networks, on your website or blog, and in electronic communications.